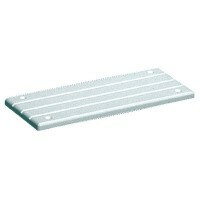 S/s deck step-3 1/4 x 8 2/cd Card: 2A: 3-3/8"Fastener: #8 FHB: 8-7/8"C: 8-3/16".. Step with comfort and safety, wet or dry. 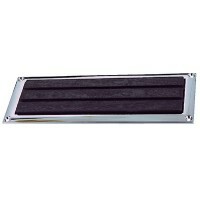 Use on swim platforms, stair rungs, transoms or anywhere y..
Made of marine grade polymer. Size: 8-3/4" x 3-1/2" x 3/8"Color: White..